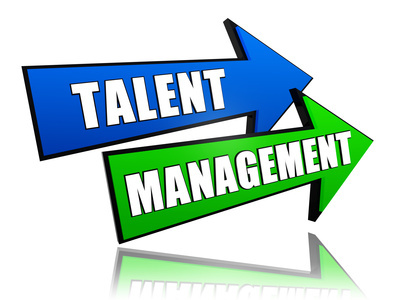 Why Do Companies Use Skill Management Systems? If you ever plan to book a demo with us, you can be fairly certain this is one of the first questions we will be asking you, hopefully after pleasantries. We often receive requests for demos from business people who want to find out how our system can help them with their requirements. Today, I’d be sharing some of the most basic and popular use cases of our skill management system, based on what our clients want to accomplish with it. It’ll give you an idea of what other companies are using skills management for, and why it has become quite popular. And if you were looking for reasons to justify implementation of skills management in your company, you’ve come to the right place. Many companies simply need a way to know who has what skill, and how good they are at it. A company with hundreds or thousands of employees can hardly make the most use of its talents if they do not make an effort to keep their skills list organized. Many employees have multiple skills and talents – much of which may only come to light when employees are asked to rate themselves. Here’s a common scenario – Kerry, Julia, and Mark were hired for their knowledge of the web and were assigned web management tasks. However, they also know how to craft delightful newsletters, but since this was not required for their job, they kept it to themselves.Their company which has over 3000 workers is in need of someone to assist in their marketing efforts by creating newsletters. They decide to hire from the outside. Can you imagine how many such superfluous hires may be taking place in a company? Many of our clients can. Companies have thus opted for skills management that provides a way for employees to score themselves so as to get their people into the right activities. This is another common requirement we get during demos, and for good reason. While employee self-assessment is great, a second opinion is usually needed to help ensure the data in the system is accurate. That is where manager assessment comes in. Surely, we believe employees will rate themselves properly – nobody wants to rate himself an expert only to be given tasks he knows nothing about. However, we (and our clients) also recognize that people may not always be the best judge of their abilities. Manager Scoring is thus required to combat both overly modest and overly confident ratings. Let’s say a worker gives himself a 3 on a skill, but the manager has worked with this person and realizes he is actually more skilled that he credits himself, the manager can then rate him a 5 on the skill and thus ensure he engages in activities suitable for his skill level. The Manager Rating feature in Skills DB Pro is single blind, which means employees cannot see the scores assigned to them by managers. Note: A manager’s rating of an employee does not overwrite the employee’s rating of themselves. They are both available for use and a manager or admin performing an evaluation can decide to use either or both. No 3 – We need a way to search among our employees for people with required skills. Many companies ask for this feature so they can make effective plans for upcoming projects. Others, so they can get the right people into current projects. We can surely see the sense in that – selecting the wrong people for a project could tank it even before it starts. For such clients, we gladly demonstrate how our Expert Search feature fills their use case. Let’s say you need five people who are expert in project management, and can speak some Spanish. You simply select both criteria, set the level of competency you want for each, and click search. The system searches among your employees for those who have the skills and skill levels you selected and returns the list for you to choose from. Besides skills, employees can also be sought based on certifications. And so if you want the selection above to only include experts in project management who are PMP certified, you add this to the criteria and the results are limited accordingly. No 4 – We want to be able to generate skills reports for individuals, departments, or the whole company. How much of this skill do we have? How much do we need? Who are close to having the necessary skills for this upcoming project so they can be trained? What are our skill gaps and how can we bridge them? Which employees have certifications that are expiring soon? These are just some of the skill-related questions that could arise in an organization, and many of our clients know it is vital to have a precise way to get the answers. Skills DB Pro offers 20 different reporting options to help you do just that. 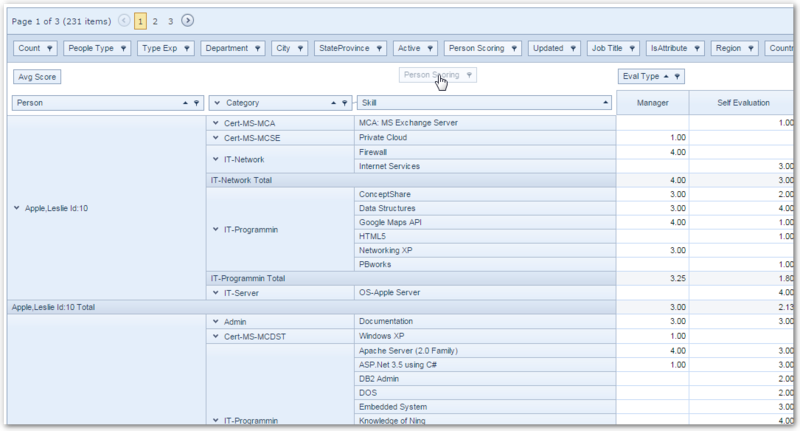 The reporting tool we feature most often to our clients during demos is the advanced analytics module. This module offers a drag and drop function that allows you create custom reports by simply dragging and dropping filters. These reports do come in handy – whether for discussing with employees about their career, assessing a department or the entire company, creating outstanding proposals, or acing that presentation. And we know how much you love charts – I mean, why represent information only in tables when it can also be done with lines and rectangles and pies right? So when our clients request it, we show them our reporting functions that can also be displayed as graphical charts. We want to be able to schedule and track employee training: Keeping track of training attended by employees complements the skills management process. This is yet another way to know precisely how proficient employees are, and what roles are suitable for them. We need a way to know if workers are competent enough for their job position: Skills DB Pro has an entire module just for this purpose. Employees can be compared against their job position to see if they are competent enough, or against an open job position to determine if they are suitable for promotion.